One of the most common questions newly licensed agents ask about Keller Williams is , “What’s your company’s commission split?” Even some of experienced agents considering a move to a new agency are often concerned with how their commission is split with their new broker.50-50 split? 70-30 split? Some of the real estate companies offer 100 Percent commission (but you must factor in their monthly expenses such as desk fee, franchise fees, E&O Insurance, and other miscellaneous expenses and training they offer). Here at Keller Williams our commission structure is a little bit different than most real estate companies. We have something called an agent commission “cap.” Each office has a cap on commissions based on their current market. Once an agent reaches a set amount of production (cap), they are no longer required to pay the office a split, meaning the agent is at a 100 Percent commission split until their fiscal year starts again. The best part is that Keller Williams has the best training in the world, support, and a community of associates and mentors for you to become a Capper. If you don’t reach your cap, you’re not required to pay the difference. Having a commission cap can be a great motivator. You want to cap as soon as possible and you want to get as many deals at 100 Percent you can. 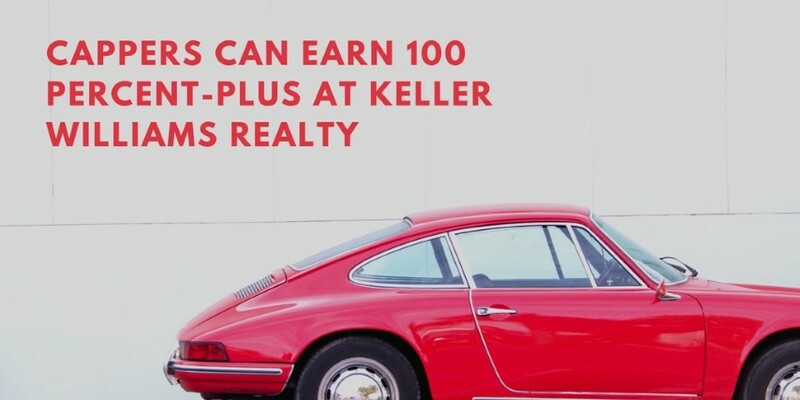 What is extraordinary about Keller Williams is that Cappers can earn “100 percent-plus”. In keeping with the philosophy that agents are partners and stakeholders, Keller Williams created a distinct wealth building platform that rewards associates who contribute to a profitable market center’s growth by attracting productive associates. Each month, profitable market centers share roughly half of their profits with the associates who helped grow the market center. The program is completely voluntary and available to any associate who wishes to participate. Since the inception of the Profit share, KW has distributed more than $1 billion to associates who have helped the company grow! Profit share gives associates an opportunity to earn “100 percent-plus,” meaning that a participating associate can earn far greater than the commission split they pay, effectively allowing them to earn more than if they were on a 100 percent split. When you’re ready for EXTRAORDINARY… we’re ready for you. Contact us today to find out the cap in our market center! If you have any questions about Profit Share, please contact Keller Williams La Quinta!